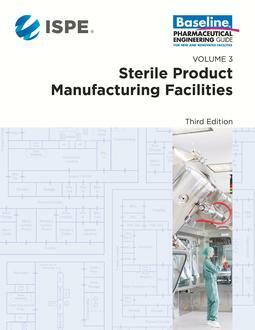 This is the third edition of the ISPE Baseline® Guide for New and Renovated Oral Solid Dosage (OSD) facilities. It focuses on compliance with the current regulatory expectations. 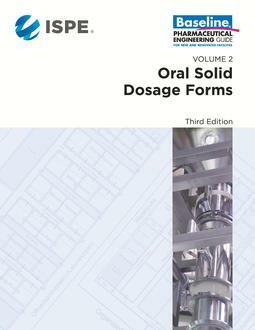 Technical content within this Baseline Guide covers pharmaceutical facilities for the manufacture of OSD forms, including tablets, capsules, and general powders. It may also be applied to pilot and clinical supply facilities and is intended to supplement Good Engineering Practice (GEP) with suggested approaches to Good Manufacturing Practice (GMP). The ISPE Baseline Guide: OSD Forms is intended to be used by various industry professionals for the planning, design, engineering, construction, commissioning, qualification and operation of both new and renovated pharmaceutical OSD facilities. It is intended to be used to develop technically sound and compliant solutions while offering flexibility to meet specific facility and project needs. The ISPE Baseline Guide: OSD Forms is intended to offer a tool for consistent framework for regulatory interpretation, while still allowing a flexible, innovative, and compliant approach to facility design, construction, commissioning, and qualification. This approach is intended to allow manufacturers to better serve their customers by helping reduce costs and improve product quality. Additionally, this Baseline Guide will provide an overview of potential new technologies, which are being applied selectively in the industry. Expanded discussion related to Risk Management with content including the topics of principles, processes, and tools. Addition of a new chapter entitled Product Isolation and Containment - Principles of Product, Operator, and Environmental Protection. This chapter provides further detail on the challenges, and considerations relating to containment and cross contamination issues faced by OSD manufacturers. Numerous updates and considerations relating to modern OSD facilities in the areas of Architectural, Process Support Utilities, HVAC, Controls, and Instrumentation.